Theresa's Mixed Nuts: Cajun Baked Shrimp ~ Bubba Gump Would Approve! Cajun Baked Shrimp ~ Bubba Gump Would Approve! When I think of my favorite movies, most of them are from 15 or more years ago. Not that there aren't some really great movies that are "newer", but there was something magical about the films from the 80's and 90's. I've been slowly introducing my girls to the classics that I grew up on- The Princess Bride, Never Ending Story, 10 Things I Hate About You, Titanic... They initially snubbed their noses at these older films, but in the end, found that they enjoyed them very much. There's one film I haven't gotten around to watching with them yet, but it's on my list of things to do before sending Mariah off to college this fall, and that's Forrest Gump. It's a long one, but I think it's a film that everyone needs to see at least once in their life. I'm pretty sure that has to be one of the most quoted films of our generation, no? Who hasn't yelled, "Run, Forrest, Run!" at some point? Or talked about how life is like a box of chocolates? And, of course, you gotta love good old Bubba Gump rambling on about how many different ways you can serve up shrimp. Allison has been on me to make her some shrimp for the past month since it's one of her favorite eats. Her and Bubba would have been best friends, I'm sure. Last week we had some pretty good sales on shrimp, so picked up a few pounds, then made the family this Cajun Baked Shrimp from Golden Blossom Honey. The Cajun seasoning gives it a true southern flare, and is there anything better than southern cuisine? I don't think so! 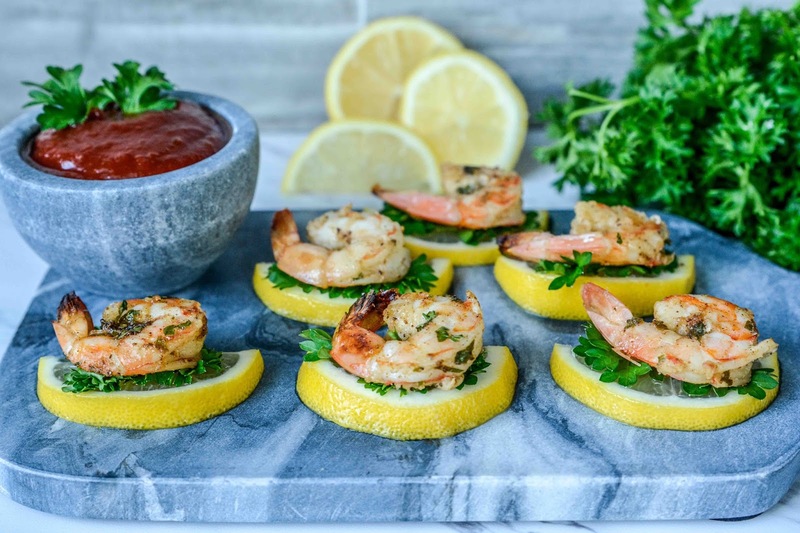 You could invite Bubba Gump to dinner and I'm sure this Cajun Baked Shrimp would shoot straight to the top of his list of favorite ways to cook shrimp. It's definitely at the top of my family's list of favorites now! What is your favorite film from the 80's or 90's? Interesting mixture there for sure. Oh yeah, most of my favorites come from the early 90's and 80's. Everything from Midnight Run to Terminator 2 to Die Hard to Hot Pursuit to Can't By Me Love. Way too many to name. I did watch the neverending story recently again, never liked it as much as I did as a kid. I was just thinking about Can't Buy Me Love last night in my Zumba class. We were doing a move like the American Bandstand dancers in that film, looking all crazy lol. My husband made me a shrimp pizza for Valentines Day in the shape of a heart. I kept talking about shrimp pizza. It was good! I have never had shrimp pizza before, but it sounds awesome! You'll have to share the recipe sometime! That looks outstanding! I love to mix sweet with heat, especially when I make seafood. Thanks for sharing this recipe! Me too Stacie! Sweet and Heat is a great combo for seafood! That sounds absolutely amazing. You have been bringing us some outstanding recipes using honey over these last weeks. I really love them! My husband loves two things in this world. Spicy food and shrimp. This recipe is perfect for him! I love shrimp, and I love cajun food (a lot of which involves shrimp.) This sounds like something I would really enjoy. 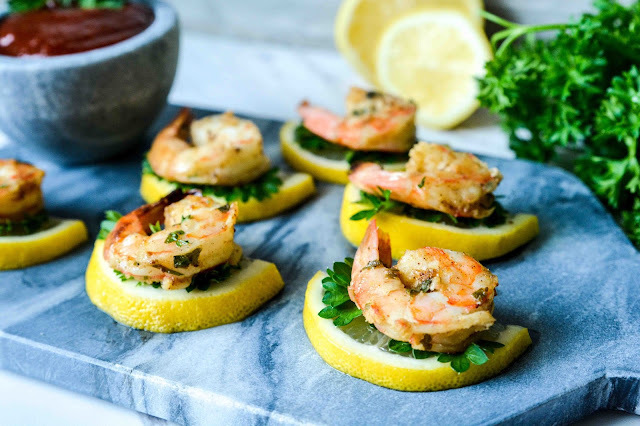 Looks like a great recipe to try, we love shrimp. Will have to try to make this up for us! This looks so delicious. I may have to have my husband make this for us. Oh wow! This looks like a recipe that I would love to try. I love seafood and this one just nails the flavor combinations. I'm totally keeping the recipe! Now this sounds like a fun shrimp dish. I always love Cajun seasoning and the presentation of these is amazing. We got to have this cajun baked shrimp soon. It looks so delicious! My husband loves spicy food because he says it helps relieve him of his chronic lower back pain. I just love shrimp, whether it is spicy or not! BTW, I loved the plating. It made the shrimp look so appetizing. These look SO good! Would surely be a hit at any party! Awesome! Cajun style is always a fun way to prepare a dish. This recipe looks like a keeper to me. Sounds delish! I would love to try it for sure! This recipe is going straight to my binder! Shrimp is my favorite in any form! I haven't made shrimp for a while. I think your recipe will be dinner next week. Just to keep things mixed up. we have the same b rand of honey at home, the shrimp looks so delicious but i cant have that bcos of allergy! im so jealous! i want a bite right now. I am a huge fan of Honey. I will have to give this a try. I am sure my family will love it. Oh my gosh does this look yummy! I need to try this recipe! I love shrimp so much this is up my alley! Looks good with the hint of honey! Mmmm I've been having shrimps last week too. Love them and these certainly look divine! Ooo~ I've never thought of using lemon as a base. That sounds awesome, particularly with something with a bit of spice. You are right! There is nobody I know that hasn't used a quote from Forrest Gump. LOL. I needs me some of that shrimp!!! LOL - I'm still so behind on reading posts, but I had to comment on this one. My daughter is at the age where she loves watching 80's and 90's movies with me. A couple weekends ago we watched Pretty in Pink, followed immediately by Top Gun. Both awesome movies. I don't know that I have one favorite - there are soooo many good ones. My son and I have enjoyed watching Ghostbusters and The Goonies together - and The entire Indiana Jones Series...how can you not like Harrison Ford in those? We have a Bubba Gump Shrimp Co. restaurant here - it's good food with a fun atmosphere, although it is touristy and pricey...still fun though.